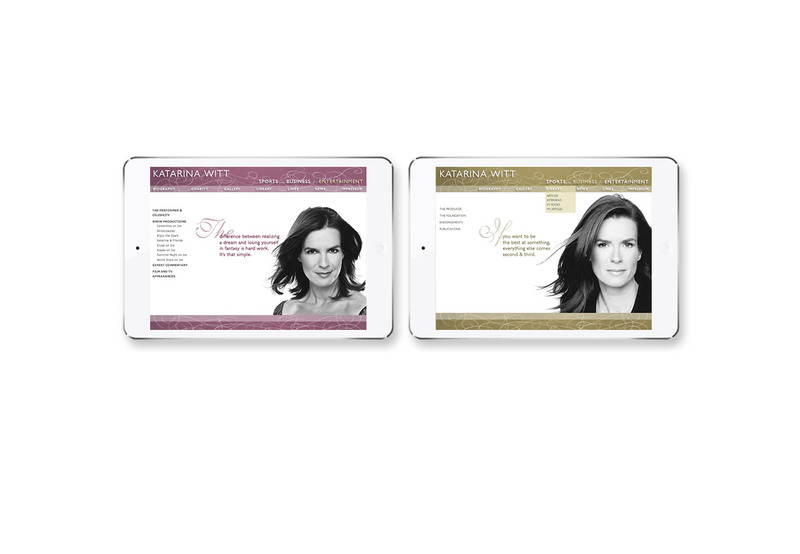 Blixa 6 Studios worked personally with two time Olympic gold medalist, Katarina Witt to clarify the core elements of her evolving Brand Identity, connecting all aspects of her business including a foundation, production company and her career as a professional figure skater. Designed the site and wrote the copy to reflect her personal style and strategically position her for upcoming career transition from professional figure skater to media personality. The site was developed for both a German and international audience.